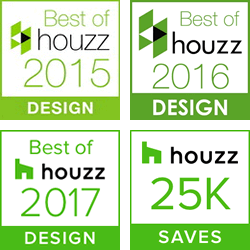 As part of Heartlands’ commitment to providing our customers with the best in outdoor living, we offer Napoleon®, Fire Magic®, and Kamado Joe® brand grills and accessories. You can purchase a grill individually or as part of a built-in grilling area. 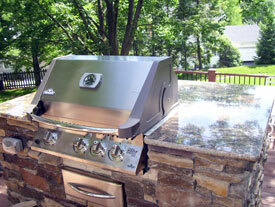 Napoleon® grills are the most versatile available. You can combine gas, charcoal, infrared, smoking, rotisserie, and convection style cooking all in one grill. The grills come in carted and built-in models that can either be installed in custom cooking areas or in stainless islands with cabinets and drawers. Napoleon® designs and implements features sought after by discriminating consumers around the world. Time after time, Napoleon® has led the way with new and innovative patented technology: luxurious gourmet gas grills, an exclusive infra-red grilling experience, and some of North America’s most advanced state-of-the-art technology. Innovative engineering and design, advanced manufacturing techniques, dedicated customer service, outstanding product quality, and superior warranties distinguish Napoleon® from its competitors. Napoleon® is committed to designing and manufacturing only the finest outdoor living products you can depend on. They are proudly backed by the President’s Limited Lifetime Warranty. Superior technology, rock solid performance, balanced design, and unparalleled customer service are the hallmark of Napoleon®. 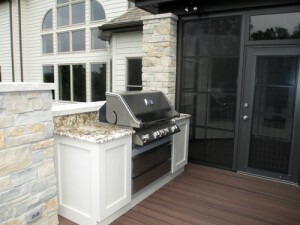 Heartlands also offers the FireMagic® line of grills and accessories. FireMagic® has been manufacturing outdoor grills for 75 years, and Heartlands is proud to include them in outdoor kitchen projects. 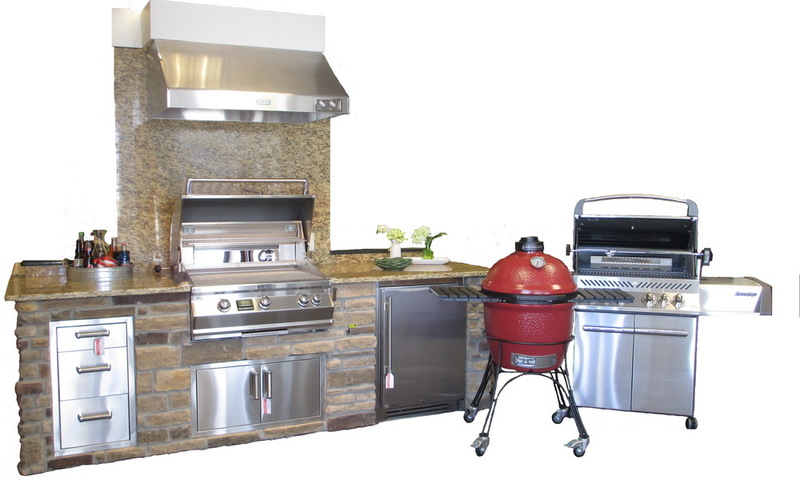 Heartlands now has two FireMagic® grills available for view in our showroom. The grills are of premium quality and offer a variety of different designs and price points. 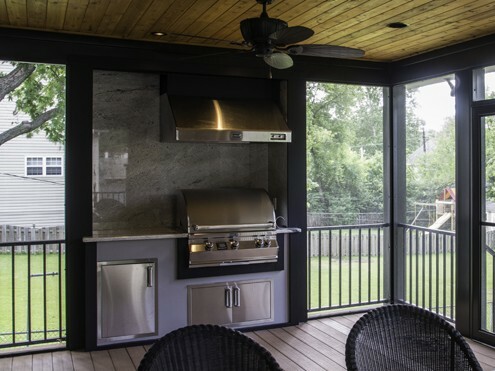 FireMagic® offers a large variety of outdoor grills, including traditional cart style grills and built-in styles for permanent outdoor kitchens. Their grills are very weather durable, which is great to have here in St. Louis where the weather is constantly changing. The grills are designed for cooking versatility, durability, and longevity. 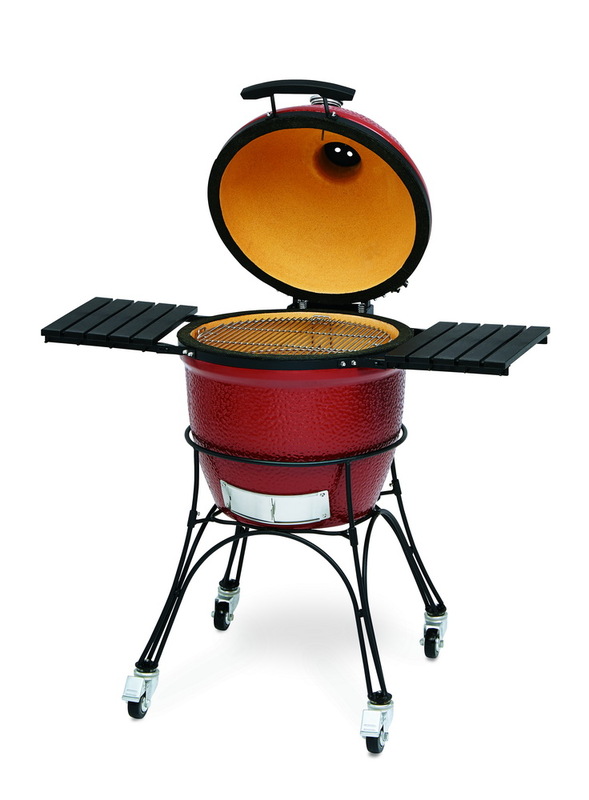 Kamado Joe® ceramic grills cook on multiple levels and surfaces at the same time. 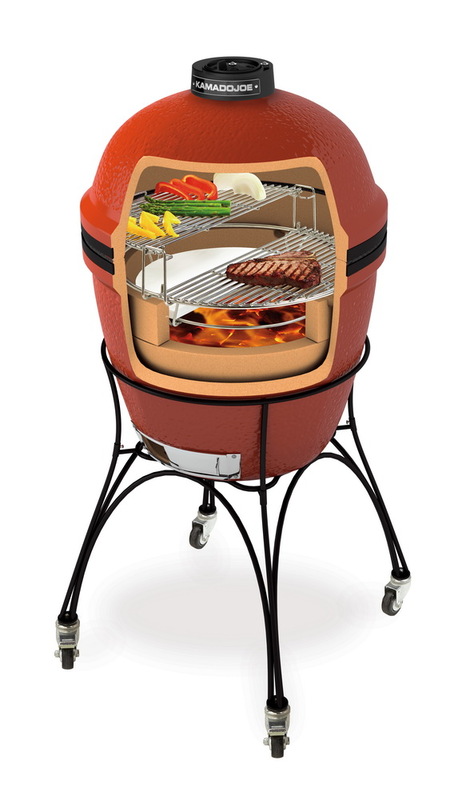 You can grill, sear, and smoke your food in the same insulated unit using lump charcoal. This gives your food a great wood-fire flavor and requires less total heat. The Kamado Joe® design circulates the heat and keeps it in the grill and the moisture in the meat. It also comes complete with accessories that other egg-shaped grills require for purchase. The cart, slide-out ash drawer, folding bamboo shelves, built-in thermometer, heat deflectors, and grill gripper are all included. You can choose from the Classic II 18″, Big Joe 24″, and Joe Jr. sizes to fit your needs. 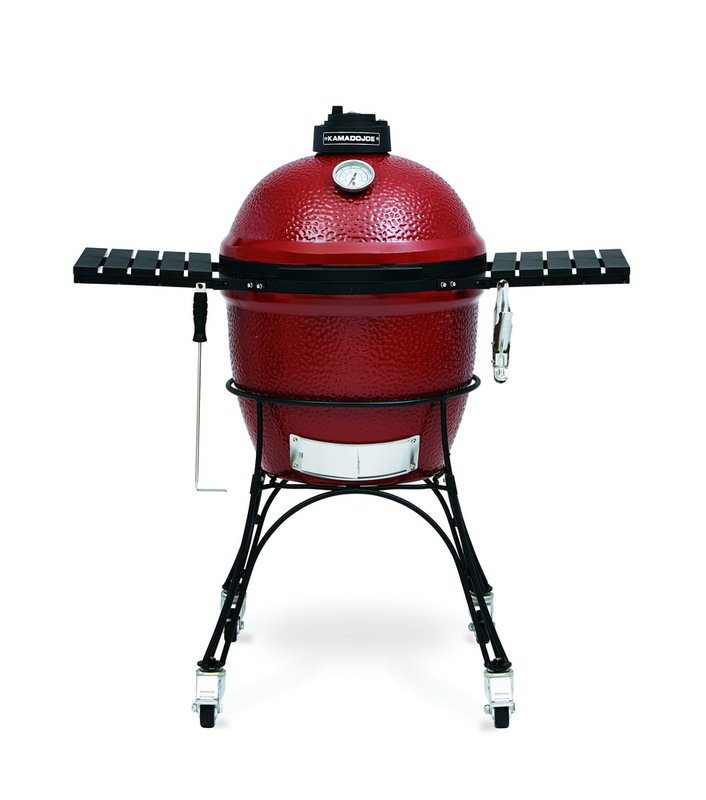 Kamado Joe grills come with a lifetime warranty on the ceramic parts and free shipping on all warranty parts. To see how a Kamado Joe grill compares to the Big Green Egg, click here. 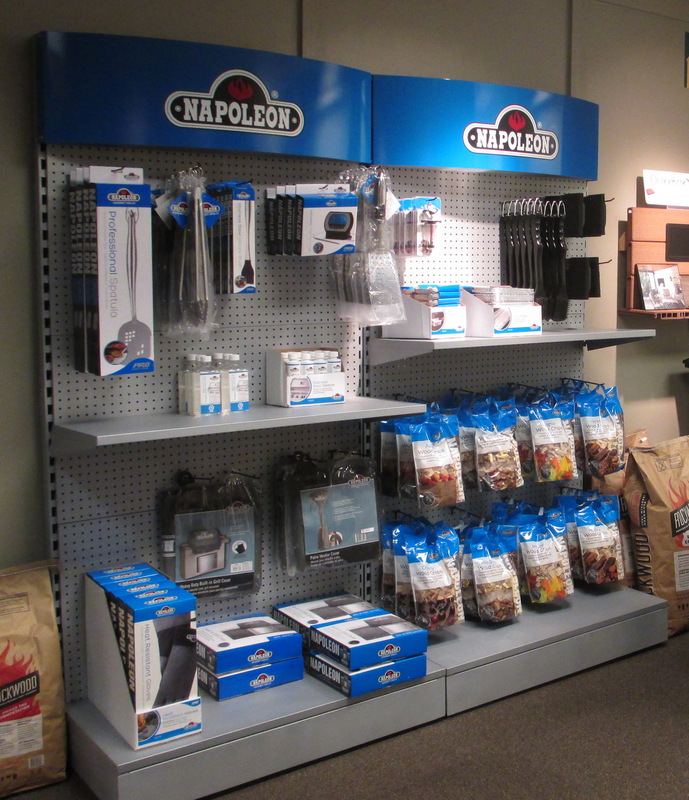 Heartlands provides many accessories for both Napoleon® and Kamado Joe® in the showroom for purchase. If we do not have what you are looking for, we will order it for you. 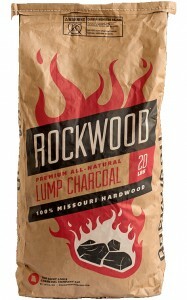 Heartlands offers locally produced Rockwood lump charcoal for use in our smokers and grills. Rockwood charcoal is made of pure Missouri hardwood that burns hotter and longer, sealing in juices for more flavorful food.